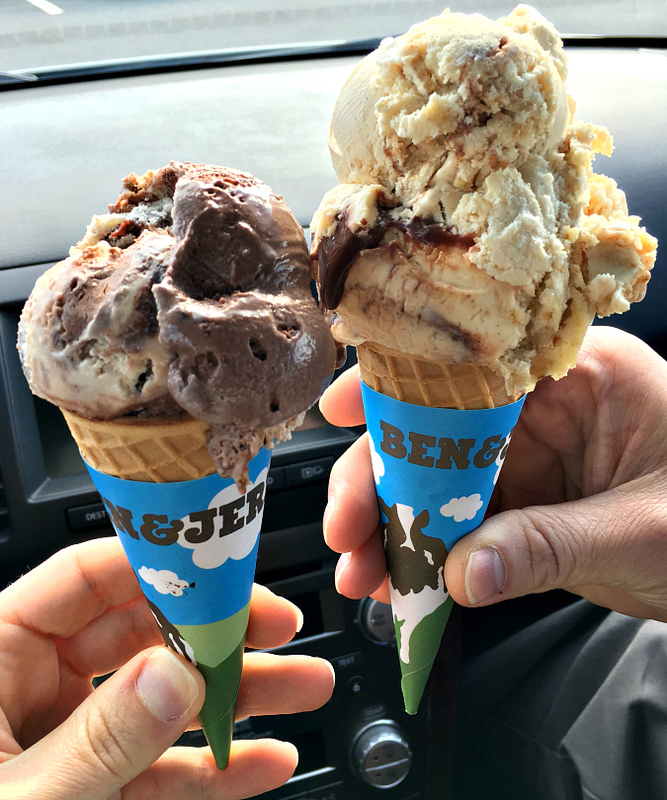 yesterday was ben & jerry's annual free cone day! the tradition started back in 1979 when ben & jerry's wanted to thank customers for their support during the shop's first year in business. now it's grown to a nation-wide event where ben & jerry's ice cream shops across the country give out free scoops. ryan saw that it was free cone day yesterday, so we stopped by after work and grabbed a free scoop. it was a nice little treat on a tuesday afternoon! I heard that advertise on our news station. Looks delicious! Great idea for the customers.